Our Honeycomb Shades are crafted from a spun lace fabric, lending a distinctly soft and delicate feel to the hand. Durable and reliable even in intense sunlight, Soft Solutions Honeycomb Shades remain consistent to their true, rich colors while offering the same beneficial light filtration, privacy and increased sound absorption as other types of honeycomb shades. A tabbed fabric back creates a uniform look for the exterior of the home. 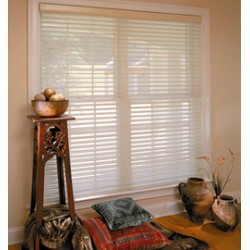 Cellular Shades also known as honeycomb shades provide beauty and insulation for your home. They com..
Blackout Cellular Shade provides privacy and blocks light to reduce heat loss/gain and save energy. .. Perfect choice for many rooms and styles, they bring an elegant finish to a room and can actually sa..